TENS (Transcutaneous Electrical Nerve Stimulation) is a method of pain relief that has been used successfully worldwide for many years by pregnant women and professional midwives to treat labour pain naturally. TENS promotes the release of endorphins (the body’s own pain-relieving chemicals) while also creating a barrier in the brain to block the pain signals. How does a Babycare TENS machine work? At the onset of labour, simply apply the four pads to your back as shown in the accompanying instructions and switch the Babycare TENS machine on. Increase the intensity to a comfortable level so that you can feel a pleasant pulsing sensation. When experiencing a contraction, press the booster button for the extra surge of power needed to combat the pain. When the contraction ends, press the booster button again - it is that simple! What is supplied with a Babycare TENS machine? Why should I use a Babycare TENS machine? Babycare TENS make only the highest quality products known for their excellent design and ease of use. Babycare TENS provides unrivalled customer care. All Babycare TENS machines are compliant with European medical device regulations. User feedback has shown that a Babycare TENS machine is most effective during the first stage of labour and helps the mother to remain in control, stay alert and considerably reduce drug intake. Most importantly, there are no known side effects for mother or baby. Can I use an ordinary TENS machine? No. Babycare TENS machines are specifically designed for childbirth. They use larger pads than conventional TENS machines and include a booster button, which is very important for relieving pain during contractions. What are the differences between Babycare TENS machines? Can I try the Babycare TENS machine before labour begins? Yes, once you have reached 37 weeks of pregnancy, it is a good idea to try your machine so that you know how it works before labour begins. To do so, remove two pads from the packaging and connect them to one lead. Place both pads onto the skin on your forearm to feel the different pulse sensations. Remember to follow the instructions on the back of the electrode packet to keep them fresh for the big day. It is recommended that you order an extra pack of electrodes for practicing. Can a Babycare TENS machine be used in hospital? Yes, but you may have to switch it off temporarily if the midwife requires you to do so. Can a Babycare TENS machine be used with other methods of pain relief? Yes, in conjunction with gas and air or pethidine. Can I use a Babycare TENS machine if I am considering a water birth? Yes, but not in the water itself. It is recommended to use TENS right from the start of your labour to build up your endorphin level. As a midwife will usually ask you to enter the water when you are 4-5cm dilated, TENS is an ideal pain-relief solution up until this point. It is recommended that you order an extra pack of electrodes if you are planning a water birth. When should I start using my Babycare TENS machine if I am being induced? To allow time for your endorphin level to rise, begin using your machine one hour before your induction. Will a Babycare TENS machine be worthwhile if I end up having an epidural or a caesarean? Yes, you can use the machine beforehand for pain relief. It is particularly good for the early stages of labour when you are at home with no other pain relief available. The machine can also be used from 37 weeks of pregnancy for back pain and then for general pain relief following labour. Can I use a Babycare TENS machine after my birth? Are Babycare TENS machines safe? Yes. They are designed for labour. However, do not use before the 37th week of pregnancy unless under medical supervision. If you suffer from epilepsy or have any doubts whatsoever consult a medical professional. If you use a demand type pacemaker you should not use a TENS machine. There are no known side effects for mother or baby. All Babycare TENS machines are sent by first class post on the 37th week of pregnancy. However, please allow 1-5 working days for delivery. If you need your unit dispatched earlier than the 37th week please contact us on 0208 532 9595. What happens if my due date is less than 3 weeks away? 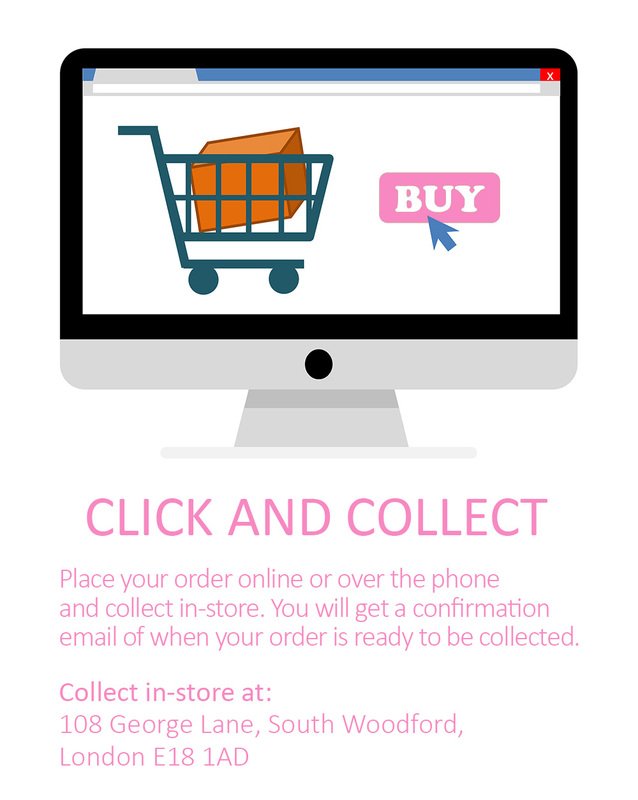 We offer a next working day delivery service* at £7.95, as long as your order is placed before 2:30pm between Monday and Friday. *Working days are Monday-Friday. Weekends are not included. Units ordered on Friday will arrive on Monday. Units ordered on Saturday or Sunday will arrive on Tuesday. No orders will be despatched or delivered on Bank Holidays. Please allow an extra day for delivery if your order is placed prior to a Bank Holiday. What happens if my baby arrives late? Please give us a ring. If we are notified in advance we will extend the 5 week hire for a week for FREE. If you then wish to hire for another week, a charge of £5 per week applies. How do I return my hire unit? Place all items (except for used batteries and electrodes) in the return envelope provided. If you do not have the return envelope, please ensure that the one you use is padded so that the machine will not be damaged in transit. Complete and enclose the return slip provided. If you do not have this slip, please remember to enclose your name, address and telephone number with the hire unit. Securely fasten the envelope to ensure its safe return. Where the return postage is NOT included in the hire for example the Elle TENS, we recommend sending your parcel by the Royal Mail’s Signed For or Special Delivery services. Alternatively, you must obtain a certificate of postage from the post office. Please keep your proof of postage for 3 months otherwise you will be held liable for the machine if it gets lost or damaged in the post.